A trendy and fun Moshi Monsters watch for children. The purple plastic strap fastens with a buckle. 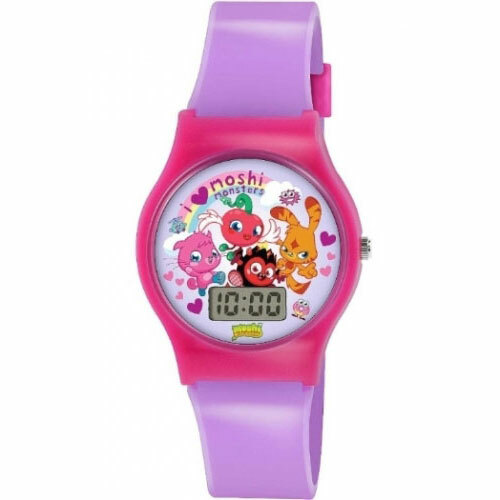 It features Moshi Monsters characters on the dial accompanied by an easy to read digital display.